Hilke was a fantastic guide. I sent an itinerary of a previous tour we had taken and she developed a plan to show us different sights. She gave us ideas and options available. She also was adjust our route because of street closures due to a marathon. She was extremely knowledgeable about about the history of Berlin. Hilke is very personable and friendly and just fun to walk and talk with. Only gave five stars because I couldn't give more! I highly recommend Hilke for your walking tour of Berlin. TOUR GUIDE RESPONSE: Dear David, thanks a lot for your review. I'm pleased to hear that you enjoyed the tour. Same here. All the best to all of you. Incredible tour! Hilke was extremely knowledgeable, friendly and made our time with her most enjoyable. We were able to experience a side of Berlin which otherwise would not have been achieveable without her expertise. Thoroughly enjoyed our day and would recommend to anyone. TOUR GUIDE RESPONSE: Dear Peter, thank you very much for the nice review. It was really nice getting to know you and your great family. I keep my fingers crossed for Great Britain. All the best! Hilke was informative and fun. She told us about some history we were not familiar with. We learned a lot about the beautiful city of Berlin. I am glad we were able to spend a full day with Hilke! TOUR GUIDE RESPONSE: Dear Karen, thank you very much for the review. Appreciated. It was nice meeting you and your family. Greetings to all of you. TOUR GUIDE RESPONSE: Dear Alex, thanks for your feedback. Saludos to your family. TOUR GUIDE RESPONSE: Dear Richard, thank you very much for the nice review. It was a pleasure to meet you and Laurel! All the best. TOUR GUIDE RESPONSE: Dear Brian, thanks for your friendly feedback. All the best! TOUR GUIDE RESPONSE: Hi Brian, thank you very much for your feedback. Appreciated! TOUR GUIDE RESPONSE: Hi Diane, thanks for your nice feedback. All the best! Hilke was knowledgeable, well prepared, and personable. We enjoyed the tour. TOUR GUIDE RESPONSE: Dear Boris, thanks you very much for your nice review. I enjoyed our conversation very much. All the best to both of you! Hilke was a WONDERFUL guide who made the very most of the six short hours we had available to see a few of the highlights of Berlin. Her courteous driver swiftly delivered us to the city and back to the port of Warnemunde. Hilke's choice of places to visit, and her knowledge of the history of the city, especially during the Third Reich, the Cold War and other periods, was simply superb, as was her effortless command of English. It is hard to imagine a better guide to the highlights of vibrant Berlin. TOUR GUIDE RESPONSE: Dear Jim, I highly appreciate your nice review. Thanks a lot. It was a nice getting to know all of you. Best wishes! TOUR GUIDE RESPONSE: Dear Marion, thanks for your review. Appreciated. What a pity that your husband didn't ask. Celtic settlements were only much more south. Berlin and surroundings developed very late and the ethic groups were first germanic groups (migrating later elsewhere) and then slaws. I would have recommended the Pre- and Early History Museum. All the best to all of you! A lovely day, and a fantastic job!! Thank you, Hilke!! TOUR GUIDE RESPONSE: Dear Marty, thank you! Your feedback is appreciated. It was a nice day with all of you. Wishing you well. TOUR GUIDE RESPONSE: Dear Brenda, thank you very much for the kind review. It was a pleasure showing you and your husband/friends Berlin. All the best to all of you! Wonderful experience. Adapted tour to the needs of our group. Very helpful getting local insight. Able to cover a lot of ground and see sights that we would not been able to see on our own. Highly recommend. TOUR GUIDE RESPONSE: Dear Janet, thanks a lot for your nice review.Very much appreciated. It was my pleasure. All the best to all of you! TOUR GUIDE RESPONSE: Dear Sara, thank you very much for the review. Very kind. I hope you both are doing well and wish you all the best. TOUR GUIDE RESPONSE: Hi Chuck, thank you very much for the nice review. I really enjoyed Christines and your company. Wishing you well. Hilke was very friendly and knowledgable. We got a little confused at times with what she was telling us as we tended to jump from one error to another. Although she asked us what we wanted to see and never having been to Berlin we couldn't give her a detailed answer. Overall she did a good job in the limited time we had in such a large city with so much history. TOUR GUIDE RESPONSE: Dear Ian, thanks for your review. I'm sorry that you got a bit confused. I'm always asking my guests if they have some special interests or want to see special places they maybe heard about. That's why I asked also you. I wish you all the best. Thank you Hilke for the wonderful day in Berlin. You are one of the best guides we have met. Keep up the good work! TOUR GUIDE RESPONSE: Dear Ankur, thank you very much for your friendly words. Appreciated. All the best and greetings to your nice family! 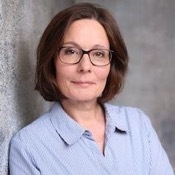 We are so grateful that Hilke was available to guide us again after the two full days we spent with her in Berlin in October 2017. She was again a brilliant guide - this time to Potsdam- deeply knowledgeable, sensitive to our interests and needs, energetic and warm. We feel we have made a good friend in Germany. Thank you! TOUR GUIDE RESPONSE: Dear Tamara and Dan, thank you so much for your review. It was once again a great pleasure to meet you. Warm regards. TOUR GUIDE RESPONSE: Dear Stan, thanks for your nice review. Hope you had an interesting trip to the ancestors places. Greetings to all of you. TOUR GUIDE RESPONSE: Dear Tom, also for me, thanks for your company! And thanks for your review. TOUR GUIDE RESPONSE: Dear Mike, thanks a lot for your nice review. All the best and greetings from Berlin! Hilke gave an excellent afternoon/evening tour for my partner and I. She is hugely knowledgable and experienced, sociable and with lovely humour as well. We had a very packed informative 4 hours. Great value and greatly appreciated. TOUR GUIDE RESPONSE: Hi Karen, thanks a lot for your review. Appreciated. Best wishes to both of you. TOUR GUIDE RESPONSE: Dear Margaret, thanks you very much for the review. It was nice meeting you two. All the best! Hilke did a very good job. She was extremely knowledgeable and got everything in that we wanted to do as well as some additional sites. She was flexible enough to include dinner in Berlin before returning to the ship. TOUR GUIDE RESPONSE: Dear Ron, thanks a lot for your review. Appreciated. Warm greetings to you all. We spent the entire day with Hilke. She was punctual, extremely well spoken, and had the day planned for us. We enjoyed her company, she knew all the details for all our questions. We maximized our time with her, and saw many locations throughout Berlin that I am guessing would not be seen on a traditional bus tour. Would highly recommend her a a local tour guide. TOUR GUIDE RESPONSE: Dear Jon, thank you very much for the review. Won't forget the "die" ;-) I wish you all the very best. TOUR GUIDE RESPONSE: Hi Joe, very kind of you. Thank you very much for the nice review. I enjoyed your company. Give your parents my regards. We loved our Berlin tour with Hilke! We had her focus on the 1930's to mid 1940's, and she was extremely knowledgeable about all of the historical events, as well as the cultural and psychological issues durinig that time. We wanted to see some of the locations of the Berlin Olympics, and in addition to visiting the Olympic Stadium, she did special research to take us to the rowing venue outside of the city. She was very willing to share her feelings and opinions about life in Berlin. Highly recommended! TOUR GUIDE RESPONSE: Hi Coleen, thank you very much for the nice review. It was my pleasure. I wish you both all the best! Very nice day with Hilke. Immense knowledge of German history and Berlin. The day flowed nicely and we saw a lot of the important landmarks along the way. We would recommend Hilke to fellow travelers. TOUR GUIDE RESPONSE: Kjære Emma, ​​takk for stjernene. Alt det beste. My Son and I had great tour of Berlin with Hilke. We enjoyed her German humor. TOUR GUIDE RESPONSE: Hi Frank, thanks for your review. Enjoyed your company, too. Best wishes! TOUR GUIDE RESPONSE: Hi Karry, thanks a lot for your nice review! I wish you all the very best. Hilke was great! She was really knowledgeable and we enjoyed the tour. TOUR GUIDE RESPONSE: Dear Joseph, thanks a lot for the nice review. I wish you and your wonderful family a great new year. The six of us toured Berlin with Hilke on a rainy Tuesday. We were amazed at her energy and encyclopedic knowledge of Berlin and German history. She happily accommodated our wishes on schedule, food, and sights to be seen. We REALLY enjoyed her company and feel as if we have a friend in Germany for life! Most highly recommended! TOUR GUIDE RESPONSE: Dear Kevin, thanks a lot for your nice review. Appreciated. We won't forget the water cannon truck, right? All the best to all of you! TOUR GUIDE RESPONSE: Dear Mhairi, tapadh leibh! (Hopefully correct spelling) All the best to the both of you! TOUR GUIDE RESPONSE: Dear Dan, thanks for the rating! Kind regards. TOUR GUIDE RESPONSE: Dear James, thanks a lot for the nice review. It was my pleasure. All the best to both of you. I highly recommend Hilke. She is extremely knowledgeable, efficient and friendly. She guided us effortlessly on public transportation from Berlin to Potsdam and back. We had a wonderful, educational tour of Potsdam, Sans Souci and Cecilienhof. TOUR GUIDE RESPONSE: Dear Sarah, thanks you very much for your nice review. It was my pleasure. All the best to all of you! TOUR GUIDE RESPONSE: Dear Sarah, thanks a lot for your nice review. All the best to all of you! Hilke made our Autumn day in Berlin most enjoyable. After picking us up at the Hilton (good central location by the way) we toured all the sights we had to see easily on foot with just a couple of quick taxi rides. 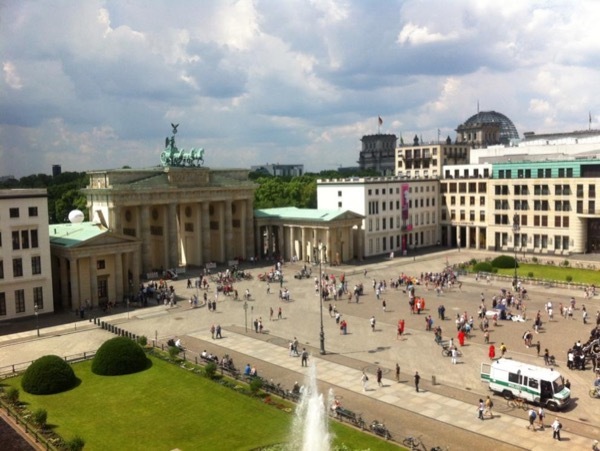 Her own insights and feelings regarding the recent history of Berlin are exactly why we pick a Tours By Locals guide. We learn't a lot, and even a few Berlin jokes! TOUR GUIDE RESPONSE: Dear Richard, thank you so much. I hope you both will enjoy also the next days. Greetings. TOUR GUIDE RESPONSE: Thanks Daniel! It was a pleasure to spend 4 hours with Hilke. She put together an excellent itinerary, used our time efficiently, provided lots of information that helped us understand and appreciate what we were seeing, It was worth every penny! TOUR GUIDE RESPONSE: Dear Bill, thanks a lot for your review. Best wishes. TOUR GUIDE RESPONSE: Hi Alan, thanks a lot! Appreciated and all the best to both of you. TOUR GUIDE RESPONSE: Hi Debora, thanks a lot of your your nice review. It was nice meeting all of you. Best wishes! TOUR GUIDE RESPONSE: Hi Suzie, thanks a lot for your nice review. It was a great pleasure showing you and you nice family Berlin. Enjoy the cruise and greetings to all of you. TOUR GUIDE RESPONSE: Dear Wendy, thanks a lot for your review. Appreciated. I wish you both all the very best. Greatings to Katharina. TOUR GUIDE RESPONSE: Hello Charol, thank you very much for your review. My pleasure. All the best to both of you! TOUR GUIDE RESPONSE: Hi Rami, thanks for your feedback. Hope you both are doing well. Best regards. TOUR GUIDE RESPONSE: Hi Michael, thanks a lot for your nice review. All the best to all of you! TOUR GUIDE RESPONSE: Hi Edwin, thanks a lot for the nice review. Appreciated. All the best to all of you! TOUR GUIDE RESPONSE: Gracias Eva! It was a pleasure. Saludos and all the best to both of you. TOUR GUIDE RESPONSE: Hi Luke, thanks a lot. All the best to all of you. TOUR GUIDE RESPONSE: Dear Angela, thank you very much for your review. Warm greetings to both of you. TOUR GUIDE RESPONSE: Hi Marcia, it was a pleasure. Thank you very much for the review. Appreciated! All the best to both of you. TOUR GUIDE RESPONSE: Dear Erwin, merci beaucoup for the nice review, appreciated. Sincères salutations a vous deux. TOUR GUIDE RESPONSE: Hi Craig, thanks a lot for your review. I enjoyed your company. All the best! TOUR GUIDE RESPONSE: Dear Gabriele, thanks a lot for your review. All the best to all of you. We five spent two full days with Hilke--Berlin and Potsdam. I don't know how we could have had a more informative, useful, enjoyable experience! We covered a lot of ground in a relatively short amount of time. I am reluctant to say she was "the best" TBL guide we have ever had, because they have all been excellent. However, she was A+, a 100 on a scale of 100 and we would recommend her to others without hesitation! TOUR GUIDE RESPONSE: Hallo George, thanks a lot for your nice review. It was a pleasure to meet you all! Best regards. TOUR GUIDE RESPONSE: Hi Robert, it was a real pleasure for me. Thanks for the interesting conversation and your friendly review. I wish you both all the best. TOUR GUIDE RESPONSE: Cara Liliana, grazie mille per il feedback. E stato un piacere per me di avervi conosciuto. Cari saluti anche a Laurent. TOUR GUIDE RESPONSE: Hi Carol, thanks a lot for your nice review. All the best! TOUR GUIDE RESPONSE: Hola Maria, thank you very much for your nice review. Muy appreciado :-) Saludos cordiales. TOUR GUIDE RESPONSE: Dear Katie, thanks for your rating. Greetings to both of you! We loved Hilke! We had her for two tours, one city tour for Berlin and a second day tour to Wittenberg. She was very knowledgeable, interesting, accomodating and we could not have been happier. Her driver, Peter is slso very good and the vehicle is excellent. TOUR GUIDE RESPONSE: Hi Barry, thanks for your friendly review. Won't forget our conversation. I wish you both all. TOUR GUIDE RESPONSE: Hi Hang-Wah, thanks a lot. It was my pleasure, greetings to all of you! TOUR GUIDE RESPONSE: Hi Stephen, thanks a lot for your friendly review. Greetings to all of you! TOUR GUIDE RESPONSE: Hi Morris, thanks for your friendly review. It was my pleasure. All the best and greetings to all of you. TOUR GUIDE RESPONSE: Hi Coyne, thanks a lot for your review. Best wishes to all of you. TOUR GUIDE RESPONSE: Hi Merna, thanks a lot! This was one of the best ways to see a new City. We only had a couple of days in Berlin and finding all the stuff we saw on our own would have been impossible. Even if we had found it all, we might not have know much about what we were looking at. Hilke was great and very knowledgeable. Having a van to change locations was also great on tired feet. I highly recommend a private guide for visiting a new city. This was our 2nd guide from Tours by Locals and they both have been great. TOUR GUIDE RESPONSE: Hi Jennifer, thank you very much for the nice review. All the best! hillke was a great tour guide and I would recommend. TOUR GUIDE RESPONSE: Thanks Patty! Our tour 4/3/16 with Hilke in Berlin was awesome. We requested an intimate introduction to the city, and were delighted with Hilke's knowledge of the political history and willingness to discuss the issues frankly and in detail. Per our request she took us to several unusual sites, and deftly navigated around the half-marathon today. The driver was also great. 5 stars out of 5! We had a fantastic tour of Berlin with Hilke. It was our first Tours By Locals- and we're hooked. She covered an amazing amount of the city in just 4 hours. Due to her immense knowledge and enthusiasm we have fallen in love with Berlin. We'll return one day soon and continue our exploration- of course with Hilke.